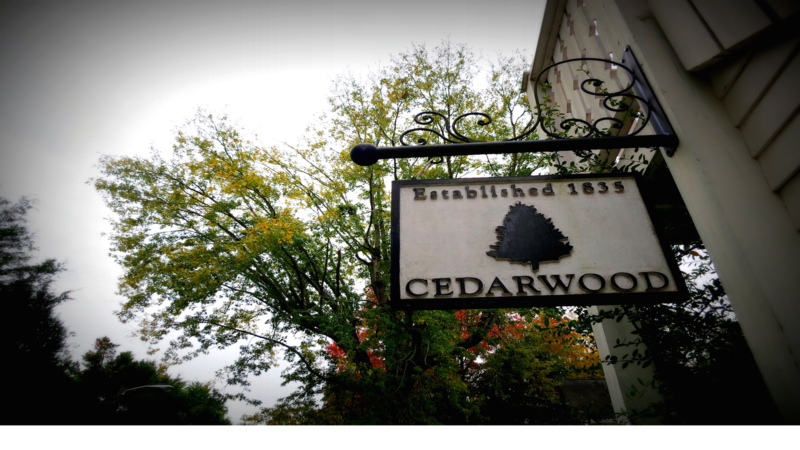 Rent Cedarwood | Corporate Events | Wedding Locations, Event Spaces and Party Venues. Our picturesque 50-acre historic estate is a premier Nashville Wedding Venue, offering breathtaking backdrops for the most romantic event of your life – your wedding. More than a venue we are event designers and destination wedding specialists providing complete planning and all-inclusive services. Outdoor ceremony spaces at Cedarwood include our outdoor Garden Terrace, a 5,400 square foot open air lawn. Framed by a pristine white farm fence and surrounded by roses, the garden terrace overlooks one of the most historic and beautiful country views in Nashville. The garden terrace is an idyllic setting for outdoor weddings with a capacity for seating 175 guests. The area is shaded by 5 Pm for a comfortable garden ceremony and optional tenting can be rented for added protection from the elements. Outdoor wedding ceremonies can also be held on our six acre Natural Meadow. Cedarwood’s antique church pews and Victorian Gothic windows are upgrade options to create an outdoor cathedral for up to 175 guests.